The sounds of words and their effect on water crystals is nothing less than a divine gift from nature. When water is frozen, the crystals reveal the concentrated thoughts directed toward them. Water is a medium that receives and understands even the subtlest vibrations. Water captures vibrations naturally. Even when these vibrations are in characters, or letters representing language, water shows us the energy they contain in the forms of crystals. Water is attempting to communicate something to us. Negative emotions prevent the water from crystallizing. Positive emotions allow it to develop in beautiful hexagonal shapes. 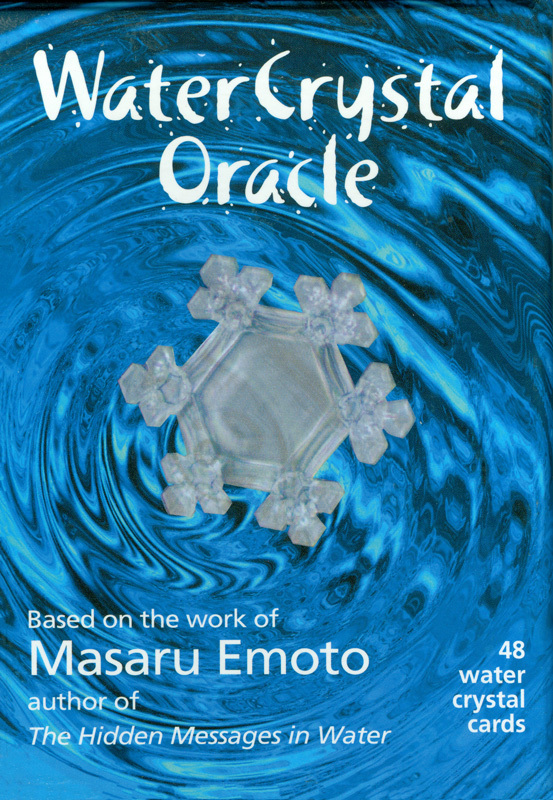 Water crystals are illustrating this divine gift in their design and the Water Crystal Oracle card deck provides access to this power. Use the Water Crystal Oracle to amplify your positive thoughts and feelings and bring to yourself the qualities and emotions you desire.